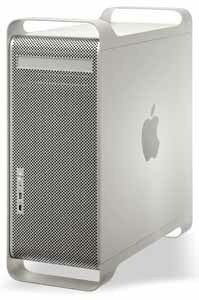 1.8 Ghz SINGLE G5/1GB RAM/Larger 750GB HD/Superdrive Shipped! CALL TO ORDER. Run 9 in classic mode. This nicely refurbished PCI-X Air Cooled G5 Tower feature a PowerPC 970 SINGLE G5/1.8 ghz Processor, optimized AltiVec "Velocity Engine" vector processing unit and 512k level 2 on-chip cache. We thoroughly test the stock 4X SuperDrive for CD/DVD burning, Refurbished LARGER 750GB SATA Hard Drive and include a full 1GB of RAM. This unit also features an NVIDIA 5200 64MB Graphics Card with ADC and DVI. Connectivity includes USB 2.0, FireWire "400" and "800", ADC, DVI (single link), optical digital audio in/out, and support for AirPort Extreme (802.11g) and Bluetooth 1.1 (available options). This model is PCI-X slot. We nicely configured it with Tiger OSX 10.4.11 with all current updates and set up for classic mode so you can run your older software. Software not included available extra. These are Leopard OSX 10.5.8 capable and an option. Keyboard and mouse available extra (see below). OSX Super Sink DVD chock full of freeware and shareware included. Room for a second drive and more RAM. $399.77 includes domestic shipping. Add 2GB for $50.00 (call). Larger and or New Hybrid drives available with room for 2 (call). SPECIAL ORDER nicely refurbished and UPGRADED AIR COOLED G5 Towers feature DUAL G5/2.0 ghz Processors, optimized AltiVec "Velocity Engine" vector processing unit and 512k level 2 on-chip cache. SuperDrive thoroughly tested for DVD/CD burning, LARGER refurb 750GB SATA Hard Drives, and include a full 1 GB of RAM. These units also feature the fast ATI Radeon 9600 Pro (AGP 8X Pro) or NVIDIA 5200 video card with 64 MB of DDR SDRAM providing both Quartz Extreme and Core Video Support. Connectivity includes USB 2.0, FireWire "400" and "800", ADC, DVI, optical digital audio in/out, and support for AirPort Extreme (802.11g) and Bluetooth 1.1. We nicely configure them with Tiger OSX 10.4.11 with all current updates and set up for classic mode so you can run your older software. Software not included available extra. These are Leopard OSX 10.5.8 capable and an option (call). Keyboard and mouse available extra (see below). OSX Super Sink DVD chock full of freeware and shareware included. Add 2GB for $50.00 (call). Larger and or New Hybrid drives available with room for 2 (call). Add a new Optical SuperDrive $45 CALL. Our $499.77 price includes domestic shipping. 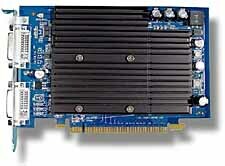 NVIDIA G4Force4MX 64MB Video Card(ADC/VGA)(AGP) for G5. Used test pull in perfect condition. Supports both Quartz Extreme and Core Video under OS10.4 and above. 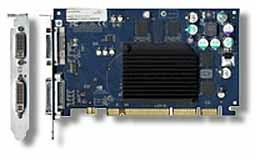 Fits early G5 models that have AGP graphics ports. Has both DVI and ADC ports. Our $89.77 price included domestic shipping. Adaptec's PowerDomain 29160N accelerator delivers unrivaled Ultra160 SCSI performance for the Macintosh, while providing backwards compatibility with existing SCSI devices. It's the ideal way for creative professionals to accelerate system performance and take advantage of maximum configuration flexibility for publishing, design, multimedia, and other data- and graphics-intensive applications. Gain 160 MByte/sec data transfer rate I/O performance. PORTS: External 68-pin High-Density SCSI connector, Internal 68-pin LVD Ultra160 SCSI connector, Internal 50-pin Standard SCSI connector REQUIRES: Mac OS9 or X. WORKS IN: PCI Based G3 & G4 Systems and early PCI and PCI-X based G5's. This card is Refurbished, cleaned and tested. Orignal Retail $329.99. Our $129.77 includes shipping. ADD A BACKUP DRIVE - Cheap Insurance! 250 GB Name Brand SATA Hard Drive. These were originally used in G5 systems and are name brands like Maxtor, Seagate or Western Digital. We low level format and thoroughly test each drive. Makes a good BACKUP drive or low cost replacement. 30 day Headgap warranty. ORDER THIS WITH YOUR G5 and we will install it with the proper mounting hardware and run a backup, no extra charge. REQUIRES A SATA connection. Was $44.77 SALE $32.77 price includes domestic shipping. ADD A BACKUP DRIVE - Cheap insurance! 80 GB Name Brand SATA Hard Drive. These were originally used in G5 systems and are name brands like Maxtor, Seagate or Western Digital. We low level format and thoroughly test each drive. Makes a good backup drive or low cost replacement. 30 day Headgap warranty. ORDER THIS WITH YOUR G5 and we will install it with the proper mounting hardware and run a backup, no extra charge. REQUIRES A SATA connection. Our $19.77 price includes domestic shipping. Call for quantity discounts. ADD A BACKUP DRIVE - Cheap Insurance! 160 GB Name Brand SATA Hard Drive. 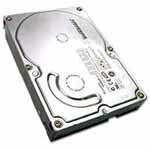 These were originally used in G5 systems and are name brands like Maxtor, Seagate or Western Digital. We low level format and thoroughly test each drive. Makes a good BACKUP drive or low cost replacement. 30 day Headgap warranty. ORDER THIS WITH YOUR G5 and we will install it with the proper mounting hardware and run a backup, no extra charge. REQUIRES A SATA connection. Our $24.77 price includes domestic shipping. Want to add two DVI monitors easily and improve your video performance at the same time. 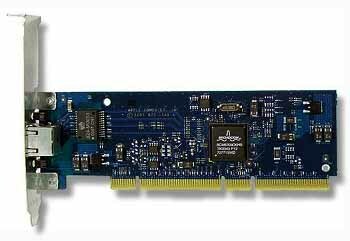 This ATI Radeon 9600 card has 128MB of Memory and can drive two DVI monitors at once. Refurbished, cleaned and tested unit. Our $109.77 price includes domestic shipping. Limited quantities order now. Ask about trade-in on your old working card. Want to improve your video performance? 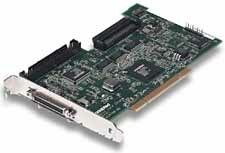 This ATI Radeon 9600XT card has 128MB of Memory and can drive a DVI or an ADC monitor. Refurbished, cleaned and tested unit. Our $119.77 price includes domestic shipping. Ask about trade-in on your old working card.